With Valentine’s Day fast approaching, buying a gift for your other half is a great way to mark the occasion and show them how much you care. Whether this is a grand gesture or something more understated, the following Valentine’s Day Singapore gift ideas are sure to make her smile. One of the Valentine’s Day Singapore gifts you can gift is elegant jewellery from social enterprise The Mindful Company, who support organisations focused on mental health and wellbeing. As well as offering inspirational and personalised pieces that look ultra chic, The Mindful Company is dedicated to providing jewellery products that are rich in meaning, design and quality, which means your significant other is sure to wear hers for years to come. Valentine’s Day Singapore gift idea 101: a thrilling experience. 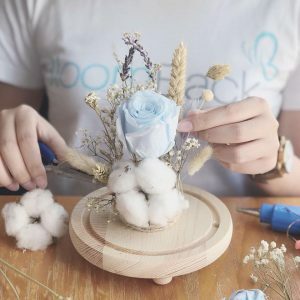 Social enterprises Bloomback and Singapore Sidecars have partnered up to bring you the most unique gift that’s sure to make this Valentine’s Day one to remember. 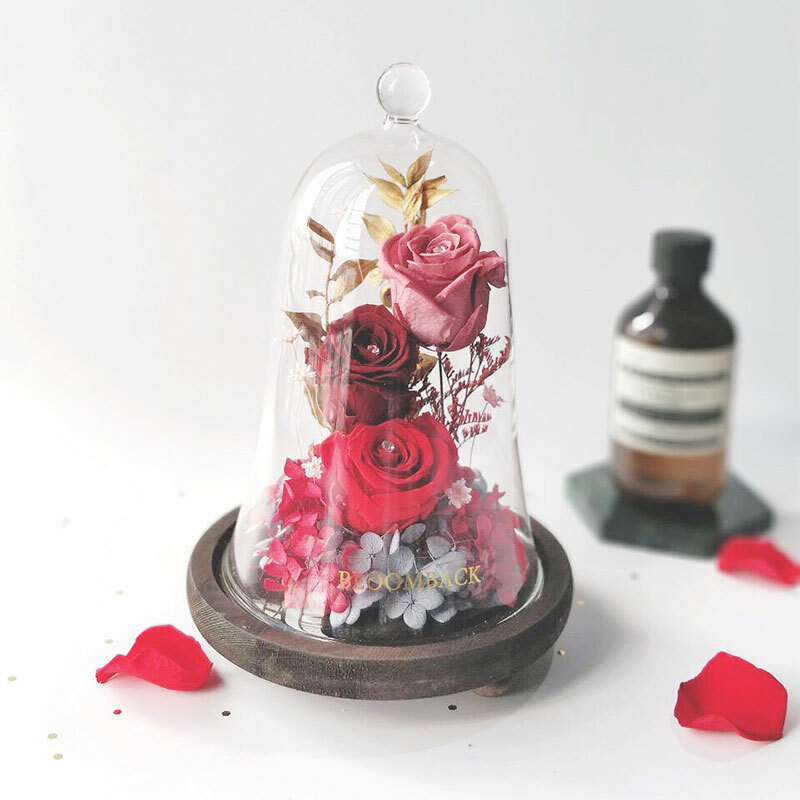 Each of their three packages comes with preserved flowers in a glass dome and a 60-minute sidecar ride. And guess what? These fabulous flowers are not only beautiful, but they’re long-lasting, pollen allergy-free, and extremely low-maintenance as they don’t require watering. That being said, the best thing about this gift is the feel-good factor. After all, Bloomback empowers women to be financially independent with 10% of every purchase going towards vocational training and employment. 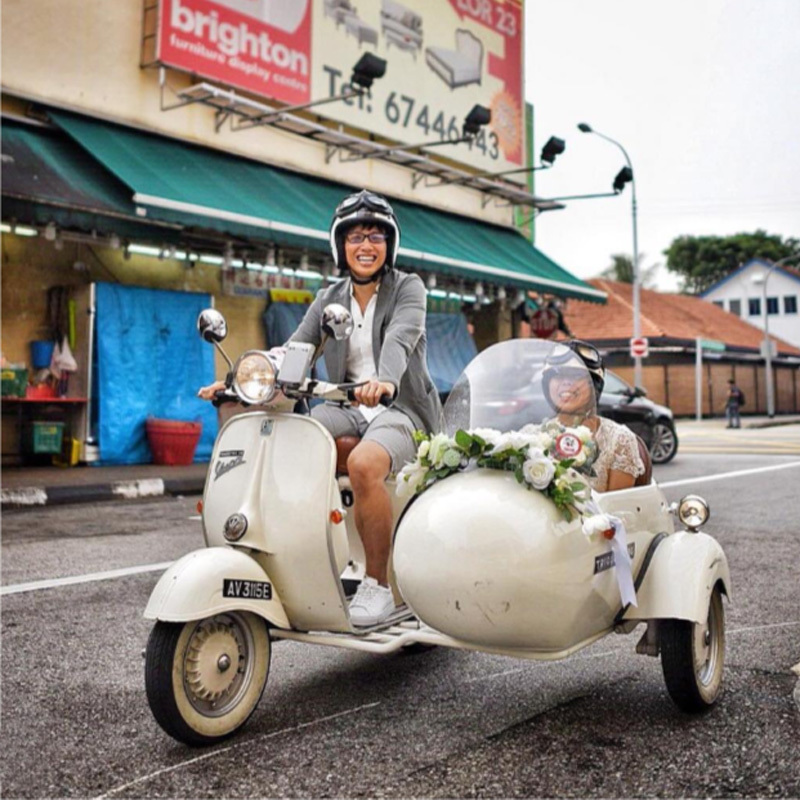 With vintage vespa tour company Singapore Sidecars also channelling their profits and resources to support good causes, it sounds like a no-brainer to us. If you’re searching for more of a relaxing gift for the both of you, why not invest in a spa experience from Singapore’s first Japanese spa? Established since 2009, Ikeda Spa is the most liked Singaporean Spa on Facebook. 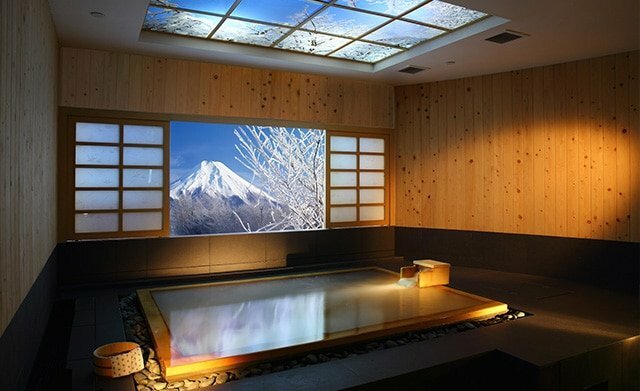 Whether you take them up on their offer to have a dip in their Japanese onsens, receive a reviving massage or undergo one of their many beauty treatments, you’re both sure to enjoy this calming day out. Another popular Valentine’s Day Singapore gift idea for her? Freda D’Parfum. We know what you’re thinking, but this isn’t just any perfume. 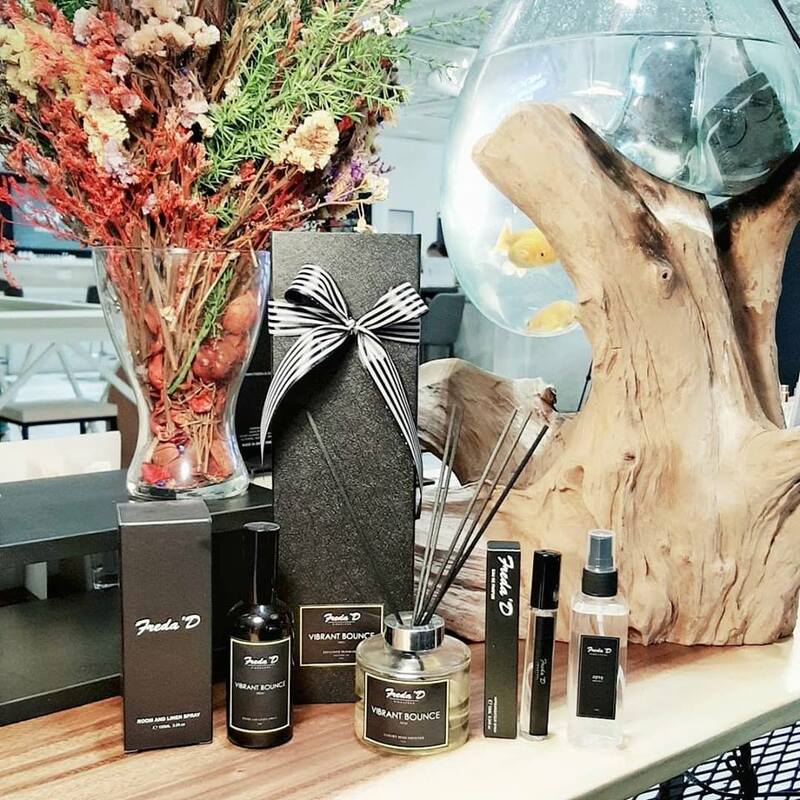 Freda’D produces artisanal, high-quality fragrances that are personally created by owner Freda to suit different occasions—and what better occasion is there than Valentine’s Day? Our final Valentine’s Day Singapore gift idea is for all the fashionistas out there! Producing luxurious handbags and leather goods for the modern, independent women, the Ling Wu brand has amazing style and variety. 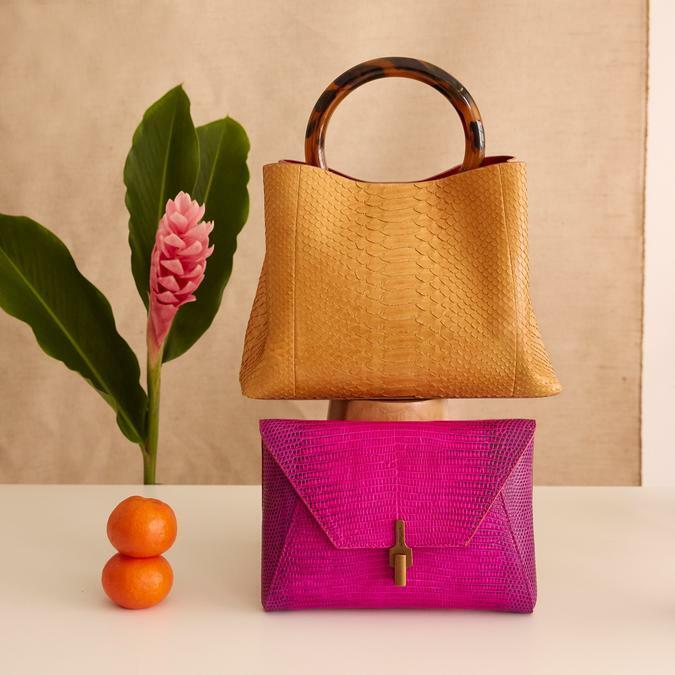 Whether you opt for one of the collection’s colourful clutches or statement totes, Ling Wu ensures that your lady will turn heads for all the right reasons this Valentine’s Day and beyond.